Founded over 10 years ago, Pure Tennis USA is a family-like organization based in Miami, Florida. 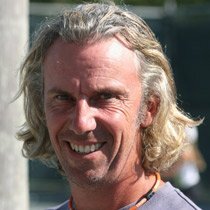 It was born from Fred Bonal’s concept and vision of tennis instruction, acquired over his years of experience as a world–class French tennis coach. Fred offers a high-quality after-school program, private coaching and summer camps overseas in which he develops the tennis skills of recreational and competitive junior players alike. Training takes place on the beautiful campus of Barry University in Miami Shores (South Florida), just north of Miami, on the college facility that boasts 8 lighted hard surface courts. We cater to all players. My small after-school tennis program is located on Barry University’s campus in Miami Shores, FL. In a family-like atmosphere, players serenely learn and train in a fast-paced, energetic atmosphere designed for players of all ability levels. Receive a customized coaching that really makes the difference by tailoring to each player’s style and individual needs. Want to spend a summer of competition while having fun on and off the court? Take part in this intensive tennis trip and play 7 to 9 tournaments in 3 weeks! This tourney is geared to those motivated players who are looking for fast-paced match play and want to broaden their horizon. You will play international players, experience new types of games, a new culture (and yummy foods!). This experience is sure to be unforgettable! If you want to step up your game and join a high quality tennis practice, you have come to the right place! Beyond athletic development I strive at being a mentor and educator. I strongly encourage character building, teamwork, sportsmanship, discipline, commitment and hard work. Having a positive influence and leading by example is my motto.I will also bring you support in your collegiate and career aspirations. I loooove to talk about tennis.